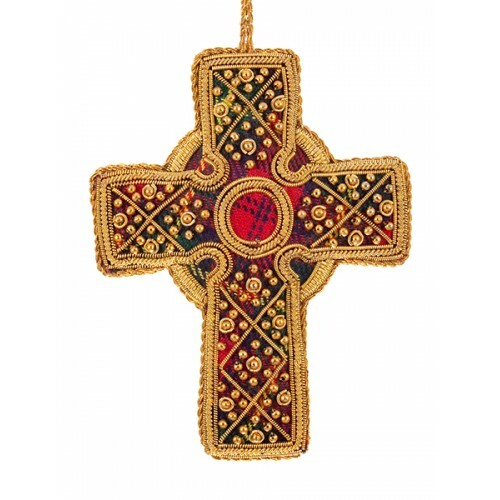 This decorative Celtic Cross motif has been around for centuries, and can be found across Ireland and Scotland. Our decoration uses traditional embroidery techniques to replicate a design more commonly found in stone. Here in festive tartan and gold.